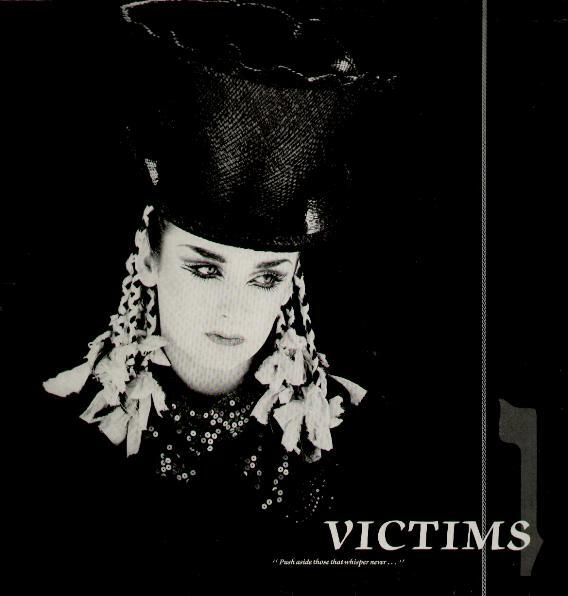 “Victims” is a single from UK band Culture Club’s album Colour by Numbers, released in 1983. As with most early Culture Club singles, the song is about Boy George’s then publicly unknown and rather turbulent relationship with drummer Jon Moss. Although the group’s previous single “Karma Chameleon” had been a massive hit throughout the world, “Victims” was only issued in the United Kingdom, Ireland, Germany, and Australia.